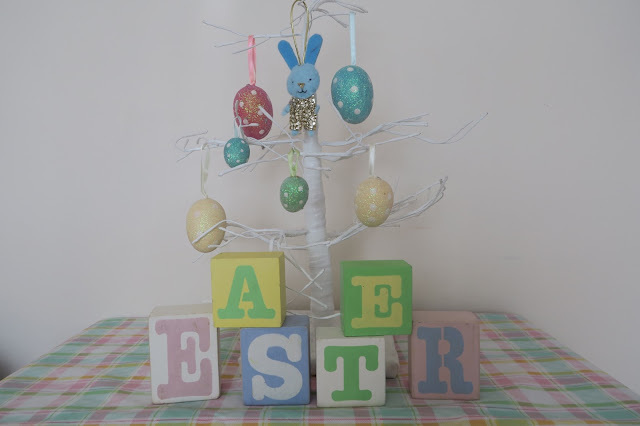 Carly from A Cup Full of Glitter knows that I love changing the decoration in my home to celebrate the changes in seasons and upcoming holidays so she invited me to join her in an Easter Blog Hop. I am extremely blessed that I have a Mother that is equally loves decorating her home with seasonal decorations so I have big box of fun Spring and Easter themed items that she has sent me from the USA and several Easter crafting projects from the last couple years to decorate with. 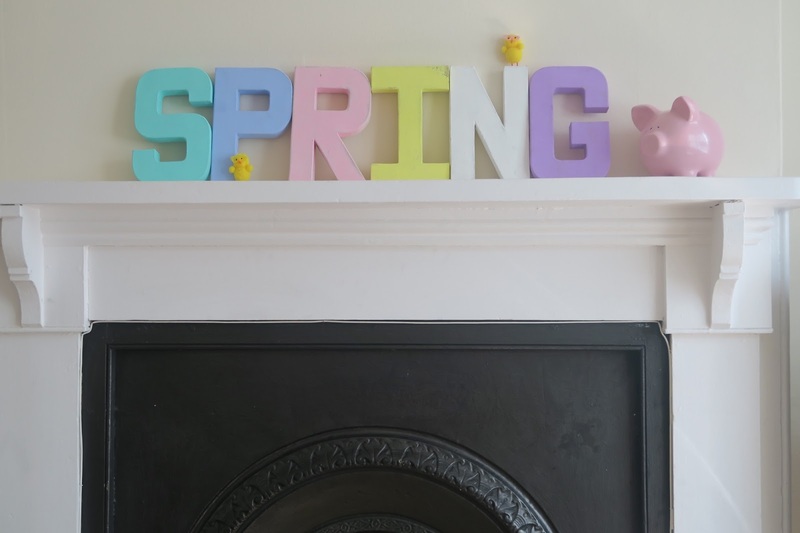 The "Spring" pastel letters was a crafting project from last year. I purchased the papar mache 20 cm (8 inches) letters and pastel paints from my local Hobbycraft. These letter required several layers of paint but low-odour paint allowed me leave letters to dry in my kitchen before painting the next layer. This "Spring" decor will be left up past Easter. The fluffy yellow chicks was a fun addition. I packed away the small Christmas artificial tree that I used for the January and February decorating and brought out my white twig tree. 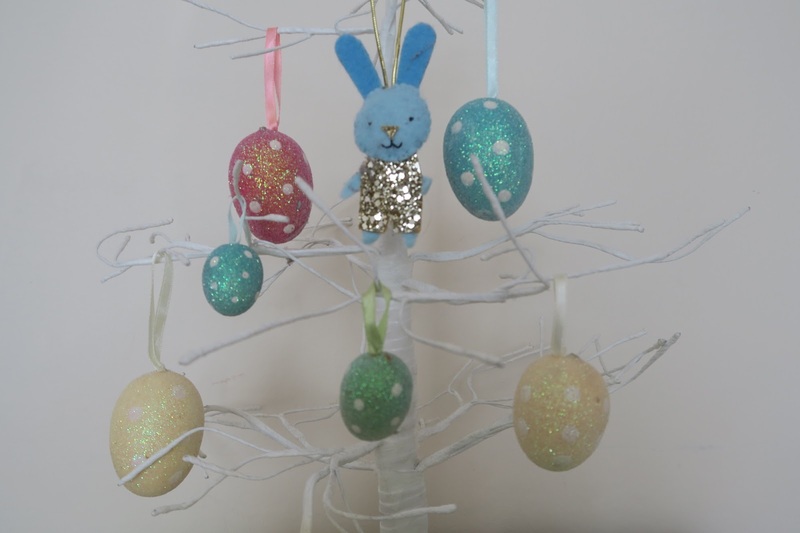 The tree sitting on the corner of my desk, it is perfect for adding some glitter eggs and a few new decorations from my Mother this year. The little felt bunny with glitter is from one of my favourite Etsy businesses, Heartfelt Handmade. The "Easter" blocks were purchased several years ago from an UK small business that I discovered on Facebook. My children love mixing them up to create new words. 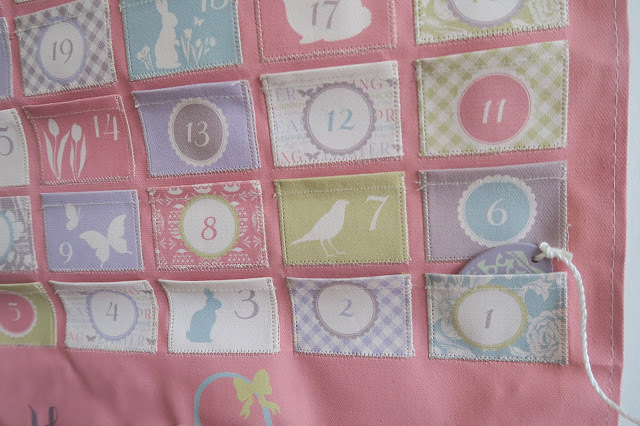 We love Christmas advent calendars and counting down to special days so this 40 Day Lent Countdown calendar is fun for the children. 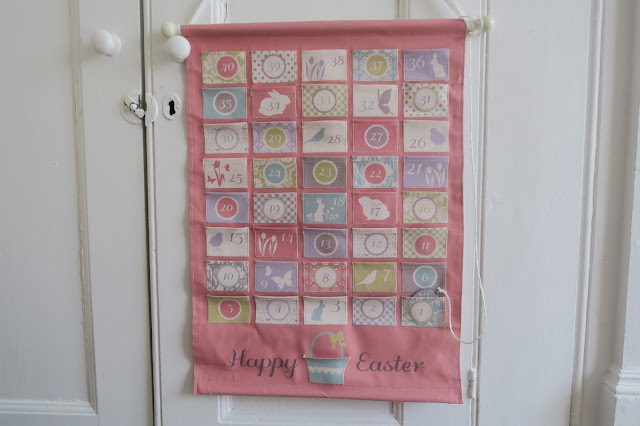 No chocolate in this calendar but the cute little wooden egg is fun to move each day to countdown until the arrival of Easter Bunny. The below wreath was actually a Valentine 2017 project that I have updated with an Easter ribbon to use a little longer this year. The inspiration was from tutorial from Carrie Elle blog. 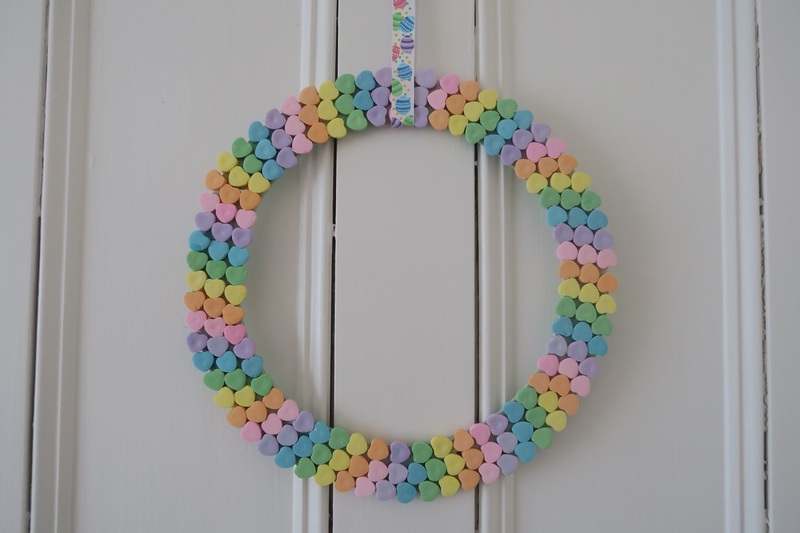 This wreath is made from a large collection of Valentine conversation hearts glued on a wooden wreath frame. 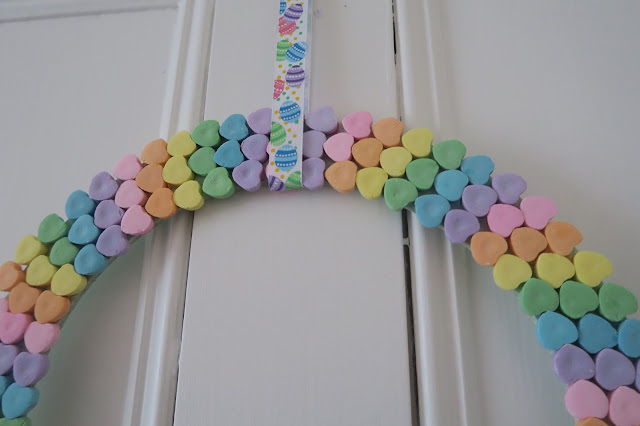 My children loved this project because they ate the candy hearts that I rejected for being irregular shapes. I am definitely thankful that I kept the leftover candy hearts when the other day I dropped this wreath and 8 rows of hearts broke off. My son took another opportunity to eat some more candy hearts. We are very excited to do lots of Easter crafting the next week with Grandma and Papa from the USA and cooking some of our favourite Easter treats. What are your plans for Easter? 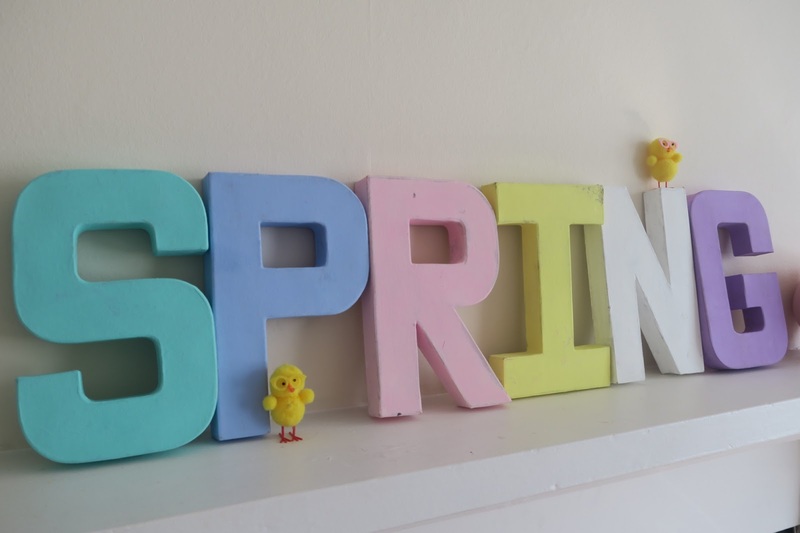 Do you decorate for Easter and/or Spring?